Everything you need comes in the box, including all necessary cables and connectors for USB connection to PC and direct SPDIF connection to your DAC. 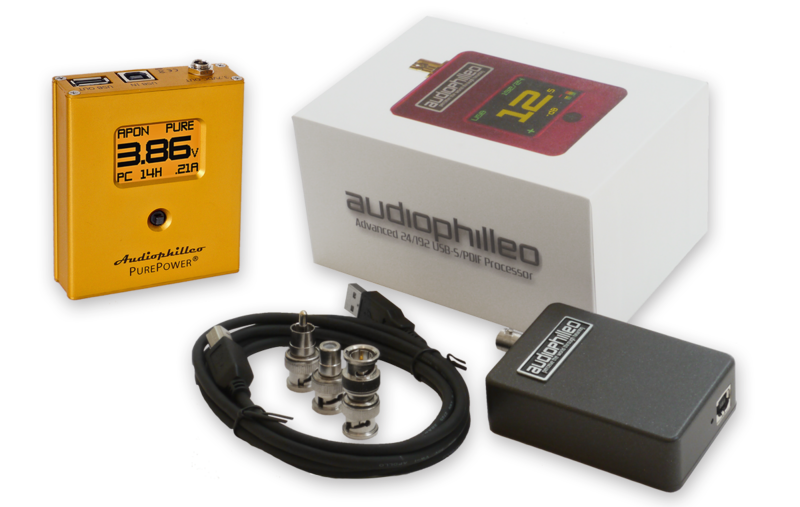 Audiophilleo2 MKII$579 - Free priority shipping to USA and Canada! 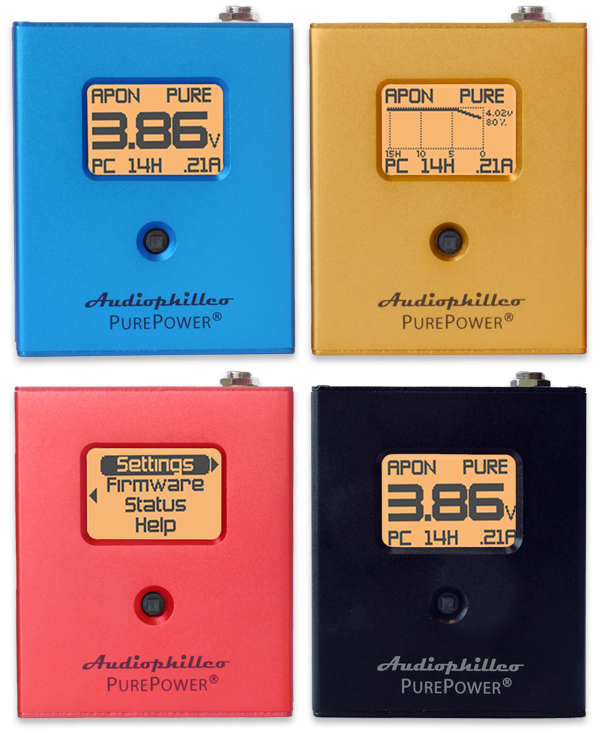 Audiophilleo1 MKII$949 - Free priority shipping to USA and Canada! PurePower MKII Factory Upgrade offer $479. Please note that if you order an AP1 or AP2 without PurePower and later decide to upgrade to PurePower, you will need to send your unit back to us for the upgrade. For the best possible sound order with PurePower now! PayPal "encourages" payment using your PayPal account. However, you can place an order without using a PayPal account. Simply click "Add to Cart" and then click on "Check Out" instead of "Check out with PayPal". Then click on "Don’t have a PayPal account?" and enter your credit card information. We ship worldwide. Payments may be made with credit card or PayPal. Shipping options will be displayed after the credit card or PayPal information is entered. If you have special requiremnents for customs declaration, please contact us. If you do not use PayPal or credit card, contact us for wire transfer details. We are here to help! When your order ships you will receive an email with tracking numbers which may then be entered at www.usps.com for tracking details. Note that for international shipments, USPS often stops updating when the package leaves the USA, only to update again upon final delivery or customs issues. Australian customers: We strongly recommend using Express service because Priority service has been reliable but very slow (sometimes in excess of 30 days). Note: Shipping times are estimates from the carrier. We usually ship items within 1 or 2 business days but will contact you with any exceptions. Note: To extend your 90 day warranty to 1 year, you must register your device within 10 days of receiving it. Note: All purchases made directly from our web site are covered by our 30 days risk-free trial policy. Copyright © 2010-2015 AudioPhilleo, LLC.